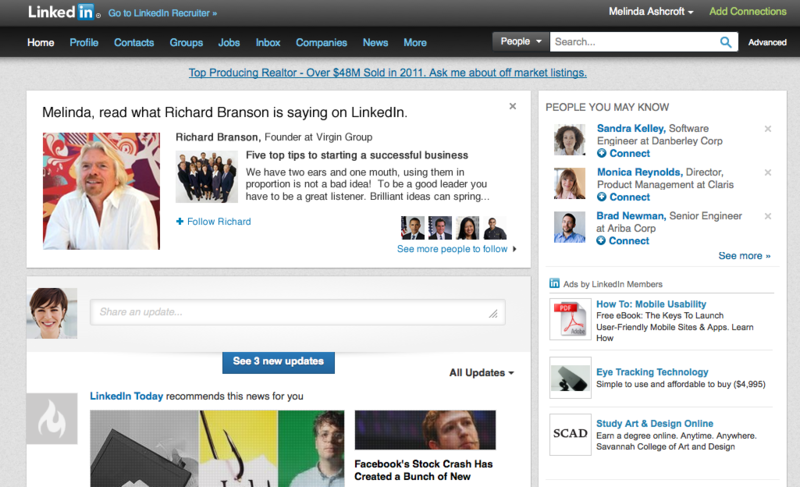 LinkedIn is taking a note from its competitor social networks and giving users the ability to follow people who fall outside their own network. 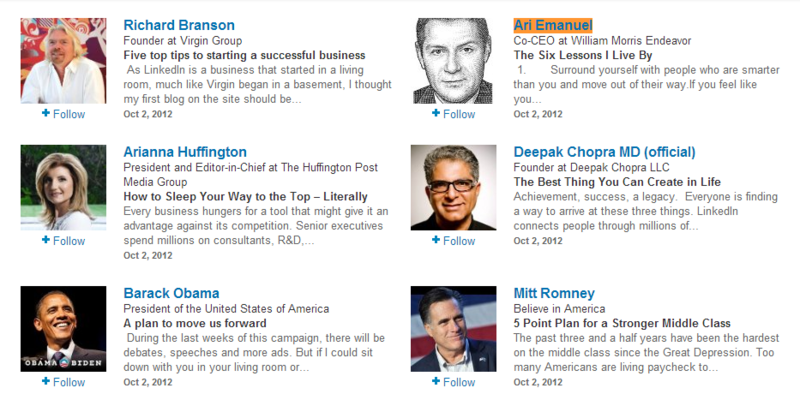 You can now follow 150 influential users on LinkedIn for the latest updates as well as their professional insights. A few big names include Richard Branson and Caterina Fake, as well as President Barak Obama and Mitt Romney. You can find the complete list of influencers here. With Twitter out of the picture after the company ended its content partnership with LinkedIn, which fed Tweets to LinkedIn, there was a void to be filled. This is a much more organic approach at creating content, and one that has the added value of giving users a degree of professional access to some of the biggest names in the professional world. The partnership doesn’t only give LinkedIn’s users new content, but also could act like a motivator for users to start sharing more. At the moment, LinkedIn’s small box for sharing updates doesn’t quite provide an encouraging user interface for publishing long form content, and has likely seen better days since the Twitter integration ended. With this in mind, it wouldn’t be surprising to see a new feature update that should promote regular LinkedIn user to publish blog post type content. The strategy for incentivizing users to leverage LinkedIn as a content publishing platform is a predictable in a bid (and one that we had reported on earlier when LinkedIn unveiled its redesigned site) to compete for advertising dollars against Facebook , Twitter, and Google Plus. If it can boost engagement rate and time spent on site, that simply means more revenue for the platform.